My article appeared in the Edit Page of The Pioneer under the title Things are changing. Better be cool, Mr Xi. 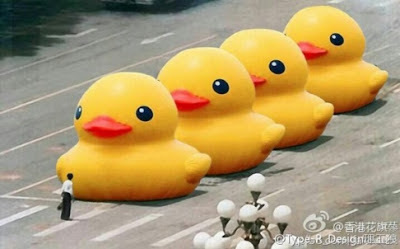 Millions of Chinese are craving for more freedom to express their problems and their aspirations. This could well be the beginning, even if small, of a sort of democratic process in the Communist nation. No, according to a Beijing-based business magazine The Investor Journal, which was swiftly censured last week after publishing a full-page editorial asking the new leadership to start political reforms to ensure the future economic prosperity of the Middle Kingdom. His argument is that the Chinese investors are unhappy with a society where the distribution of wealth is ‘stagnant and deformed’. Zhao went a step further when he compared the ‘freedom’ experienced today on the Chinese microblogs Weibo and WeChat, to the Democracy Wall at the end of the 1970s or the situation in Beijing University campus in the early months of 1989. While analyzing the deleted posts, they stumbled upon difficulties, for example neologisms or informal language used on Chinese social media; however their conclusion was that deletions occurred mainly in the first hour after a post has been submitted; some 30% of the total deletion events occur within 5-30 minutes, while nearly 90% of the deletions happen within the first 24 hours. The deletions are faster when subjects combines current events and hot topics or sensitive issues such as the Party, the government, corruption or Tibet. Today why is Xi not cool? Professor Ding Zilin, the founder of the group said: "We thought Xi should have the backbone, like his father, to do something for China's political reform and democratic development, but now we've found he is just following what his predecessors Jiang Zemin and Hu Jintao did." Bao Tong, the former aide of reformist leader Zhao Ziyang (Bao was the senior most party official to be jailed after June 4), was an admirer Xi Zhongxun, President Xi's father. Bao thinks on the same lines as the Tiananmen Mothers, he told The South China Morning Post: “I hope Xi Zhongxun's son will do well, otherwise I shall be very disappointed”. Referring to The Chinese Dream, Xi Jinping’s pet project, Bo says that if Xi is not ready to implement China’s Constitution, his Dream will stay only a dream. Twenty four years after the democracy movement was crushed by the tanks on the Square, Bao is still under house arrest in Beijing. For the few who manage to approach him, he remains outspoken. He told The Post: “The silencing of dissident voices had disastrous consequences. If you cover the mouths of a hundred people, there could still be hundreds, thousands, tens of thousands of mouths still speaking. But if they silence 1.3 billion people, that's frightening." Unfortunately, the Party sticks to its guns. Xinhua quoted Foreign Ministry spokesman Hong Lei who accused the United States of ‘prejudice’ after the U.S. State Department stated last week that Beijing should ‘fully account for those killed, detained, or missing’ after the Square events. Hong Lei said that Washington should immediately stop interfering in China's internal affairs “…the Party has already reached a ‘clear conclusion’ about the events of 1989”. It was a counter-revolutionary movement. The Chinese masses may not agree with this assessment. According to Xinhua, China had 564 million Internet users at the end of 2012; micro-blogging adepts surged to 309 million. Sina-Weibo, the most active microblog site in China sent more than 100 million messages daily. This makes the State nervous, very nervous. Already two years ago, Sina Corp’s Chief Executive Charles Chao had declared: "Because sometimes rumours can spread too quickly, Sina is now establishing more mechanisms to quash rumours through a variety of channels." While the mechanisms are increasingly sophisticated, the number of users and their boldness increases fast. A Party document recently issued by the General Office of the Central Committee, warned officials to combat ‘dangerous’ Western values. As often for Party’s circulars, the document entitled ‘Concerning the Situation in the Ideological Sphere’ partially appeared on government websites, before disappearing. The universities were also told about the ‘Seven Don’t Speak’: teachers should avoid discussing with their students universal values, freedom of speech, civil society, civil rights, the historical errors of the CCP, official bourgeoisie and judicial independence. The West is an easy scapegoat, but the fact remains that hundreds of millions of Chinese are craving for more freedom to express their problems and their aspirations. Is it not the beginning of a sort of democratic process in China? Today, Internet has another function: it forces the Government to take action against injustice. Hundreds of examples can be quoted: recently in Henan province, a black Honda knocked down a 10-year-old girl who was on her way home from school. The lady driver not only did not help the child, but insulted the mother telling her, "I am from an influential family." An angry crowd soon assembled and smashed the 26-year-old woman's car. A few minutes later photos and video footage of the scene were posted online. The police had no choice but to act. In the blogosphere, it is called the ‘My dad is Li Gang syndrome’. In 2010, the drunken son of Party cadre (Li Gang) tried to tell the police ‘do you know that I am the son of Li Gang’. He had just crushed to death a student in a car crash. Things are changing very fast in the Middle Kingdom. Better be cool, Mr Xi and accept that the people of China also long for freedom and justice.